Nying Je Ling, the Universal Compassion Buddhist Congregation is a Mahayana Buddhist Sangha with Tibetan historical connections, rather than a ‘Tibetan Buddhist’ group. Nying Je Ling practitioners are Buddhists of all nationalities who are neither ethnic Tibetans nor Tibetan Buddhists. We follow the original pure tradition (krita-yuga shuddha dharma) of the Great Middle Way (mahamadhyamaka) of Buddha Maitreya, Arya Nagarjuna, Arya Asanga, Arya Vasubandhu, Kunchen Dolpopa, and Jetsun Taranatha, whose teachings can be traced through an uninterrupted lineage to Buddha Shakyamuni. We strive to present the Dharma in the context of place, time, and circumstance (desha-kala-patra). We study texts and recite prayers in our own languages, avoiding excessive ritualism and other Tibetan ethnic cultural manifestations. when there are major changes in place, time, and circumstance. Under those conditions, it is necessary to abridge the line of transmission; that is, it is necessary to re-establish a direct connection with the original teachings of the Great Masters, and to make the View and Practice of the Dharma more readily accessible to sentient beings in their present context. A very broad definition of the term Dharma is a teaching based on true knowledge, or wisdom. Thus, Dharma is what brings us knowledge of both conventional and ultimate reality. The Dharma is not Indian, Tibetan, Chinese, Korean, Japanese, European, or American. Because the Dharma was taught originally in Eastern areas of this world, and it was there that it has been preserved until recently, there is a tendency to equate the cultural expressions of the Dharma in those areas with the Dharma itself. However, mixed with the pure Dharma is an enormous accretion of local customs, as well as elements characteristic of the decadence of our present era of the Five Defilements. Therefore, we find gross superstitions, rituals of all types for dubious purposes, and other mundane components of local cultures admixed with the expression of the Dharma. The Dharma is pure, beyond any geographic or temporary influence, transcultural, and universal. It is this universal Dharma that all the true lineages wish to distribute to the world. The world is not interested in one more mundane manifestation of culture and religiosity. We are all searching for that pure and complete wisdom that can give meaning and purpose to life; a universal knowledge that makes our lives healthier and happier. We harbor no doubts about the validity of the views and practices of extant Tibetan Buddhist lineages. The scriptures of the Kangyur and Tengyur are faithful expositions of the Dharma, and the commentaries of the Great Masters make them accessible. The essence of Tibetan Buddhist view and practice —the Four Noble Truths, Dependent Origination, the Four Immeasurables, the Six Transcendent Excellences, the Five Paths, Buddha Nature, and the vast quantity of information about the mind, the afflicted emotions, the obscurations to wisdom, and their antidotes— all this is perfectly legitimate, explained in the scriptures and by all the acharyas in the extant lineages. This is a great treasure, the clear and perfect knowledge that human society needs and that transforms the lives of all who receive it. 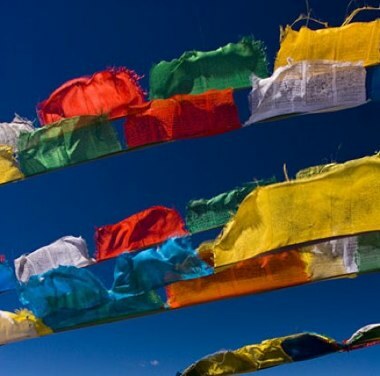 However, there are external aspects of Tibetan Buddhist practice, and the ways in which this knowledge is presented in the West, where there is a clear confusion between that which is truly Dharma and that which is merely Tibetan ethnic culture. Because Dharma culture was dominant in Tibet for many centuries, many aspects of Tibetan culture are indeed in agreement with the Dharma. They are true expressions of Dharma principles in a particular time and place. However, those same cultural forms, imposed on a different time and place, cease to be expressions of Dharma, and become mere nostalgic manifestations of ethnic chauvinism. Dharma is not a set of fixed rules concerning sartorial styles, table manners, musical fashions, and other cultural manifestations, but rather the principles informing all actions. Our mission in continuing a lineage of Dharma transmission is not to be ambassadors of a specific ethnic culture, regardless of how beautiful, noble, and worthy of conservation it may be. Our mission is to bring the salvific teachings of the Dharma to all sentient beings, regardless of their culture. We represent Buddha Shakyamuni and His disciplic succession (to re-present means to present again). Instead of assuming that some specific cultural expression “is Dharma” because it was done in the past in a localized manifestation, we should always discriminate between universal Dharma principles and their particular expressions. Even if a universal Dharma principle was perfectly expressed at some point in time in a specific location, it does not necessarily follow that the same principle can be expressed identically in a different context. The history of every lineage is precisely one of continuous change and adaptation; it is a descent into place, time, and circumstance (desha-kala-patra). To refuse to change the mode of presentation of the Dharma is perhaps the most ominous and insidious of change ideologies; it is a deviation from a fundamental order, a betrayal of the Buddha’s mission for the redemption of all sentient beings. Dharma culture is neither internally nor externally standardized. It varies from one place to another, and from time to time. What is not variable in the Dharma is the spiritual science that informs the different practices for spiritual advancement, culminating in full enlightenment. Thus, it is counterproductive to present the teachings, regardless of how wonderful, bound in an ethnic and exotic format. Every culture in the material world is always in a state of flux. That is, its core beliefs and values are expressed in varying forms (language, art, architecture, dress, cuisine, behaviors, etc.) according to the context in which it manifests. Change is an essential characteristic of material existence. Even as Buddha Shakyamuni appeared in a place-specific, time-specific, and circumstance-specific Form, so must the Lineage be “reborn” in each specific place, time, and circumstance. We need not ‘Westernize’ the Dharma, but rather propagate the Dharma in the West. In order to do so, we express the immutable principles of Dharma in our own place, time, and circumstance. Proper Tibetan fashion, the ability to quote and etymologize Tibetan words, and the gross imitation of Tibetan accents, idiosyncrasies, and mannerisms do not and cannot make us pure Dharma practitioners. In fact, these external forms that some mistakenly accept as signs of spiritual advancement often prevent the pure message of the Dharma from penetrating the minds and hearts of sincere Western seekers. We express Dharma principles in a manner that is authentic in this place, time, and circumstance. Great Middle Way Buddhism (Skt. mahamadhyamaka; Tib. dBu ma chenpo) originated in India, developed in Tibet, and is now taking root in the West. In order to be faithful to the Jonang Lineage, we must constantly re-new it. May all embrace happiness and the causes of happiness! Do the Jonang/New Jonang have a Ngakpa tradition? We have householder lamas and tantrikas, although not a formal ngakpa sangha. This is *really* a page i was looking for, and the one i will be constantly visiting once and again! I will learn much more, dear Tashi, and i wish some day i could be able to join you, New Jonangs! I subscribed again to receive emails from the English site of Universal Dharma too, but i have not received the mail for confirmation yet. No problem, i will wait, meditate and fast!